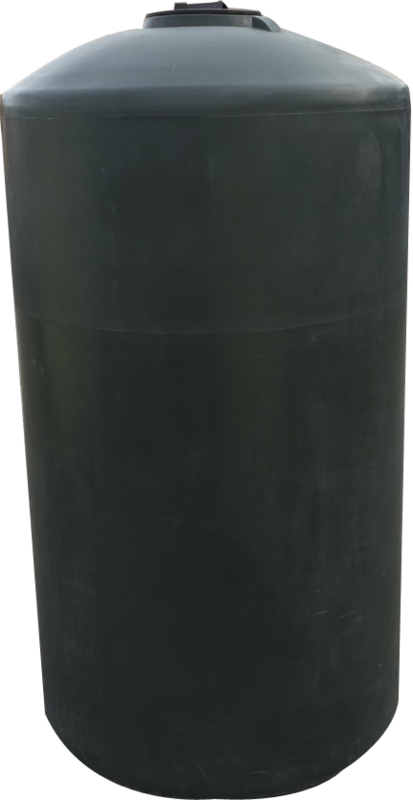 All green or black 300 gallon and above include a 1 1/2” spin weld fitting near top and2” P.P. bulkhead fitting near bottom. All dimensions and gallonage markers are approximate. Review the chemical resistance guide and warranty instruction information prior to the installation and use of RMI tanks. Hard plumbing of RMI tanks is not recommended due to the expansion/contraction characteristics of polyethylene. Always check chemical compatibility according to the material (Linear High Density Polyethylene or Crosslink Polyethylene) and weight of tank. Merchandise damaged in transit must be noted on bill of lading at time of receipt. If not, RMI is unable to assist in filling freight claims. No returns on custom or pre-installed fittings of tank products. Customer must obtain approval from RMI prior to returning product. Upon approval, customer must be issued a valid RGN# prior to returning product. A 20% restocking fee will be deducted from merchandise credit. Customer is responsible for shipping the product back to RMI. Review written Limited Warranty for details. Spec – Tank – 330 Gal. Spec – Tank – 550 Gal.